A homeowner can have the most beautiful home with the most amenities and comforts — a home that is the envy of the block from an aesthetics standpoint — but it’s very vulnerable to damage if the mechanics within the home are not done properly. 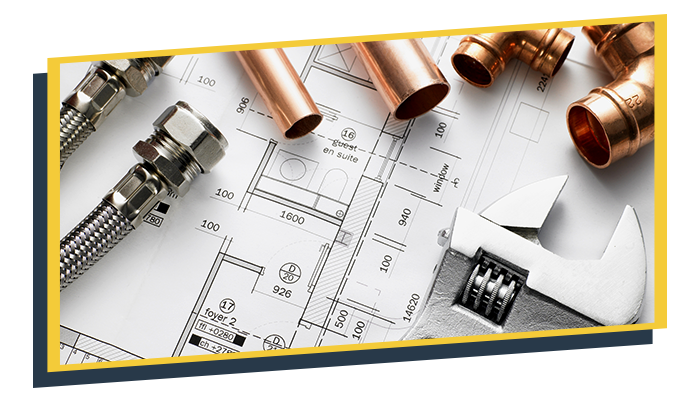 Although they are hardly glamorous or exciting, a home’s electrical and plumbing systems are imperative to the building of a safe and healthy house. As building and remodeling specialists, we approach the installation of electrical components and plumbing systems with extreme care. We simply refuse to settle for an average job when it comes to these vital building aspects, keeping our focus on safety and working to exceed both industry standards and city building codes. Whether you need simple rewiring for kitchen lighting upgrades, are in need of basement recessed lights, or the new addition to your house needs to be wired for power, we have the experience, knowledge, and skills needed to ensure complete safety. Enjoy the confidence that only comes from knowing your systems were handled by an expert by calling Tri-Star Builders for your electrical projects. By being able to efficiently and affordably install fixtures and reconfigure pipes and appliances, we avoid having to contract out the work, which saves you time and money throughout your home improvement project. After thousands of kitchen and bathroom remodeling projects, we are experienced in placing fixtures and appliances correctly, protecting against future problems. Upgrade to that new rainfall showerhead you’ve been so envious of; add that new luxury dishwasher or gas range; add a utility sink to your laundry room; with Tri-Star Builders convenient upgrades are always easy and affordable. Find out more about your remodeling options by contacting us now for a no-risk, no-obligation project estimate.